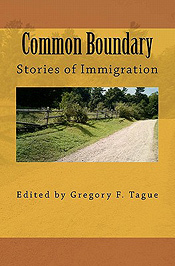 This provocative anthology of writings explores immigration from a number of perspectives. It includes my essay, "Living Between Question Marks," as well as a poem, "My Father Eats Figs." In this essay, I tried to crystallize in a few pages my complicated responses to my hyphenated identity and my emotional relationship with punctuation.?! 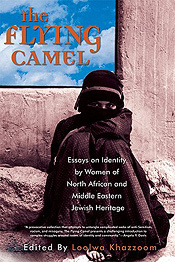 This is a wonderful one-of-a-kind collection of memoir essays by women of North African and Middle Eastern Jewish heritage. My essay, "The Life & Times of Ruth of the Jungle," explores my relation with my Moroccan family and my grandfather's legacy. 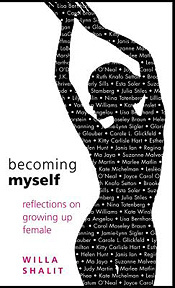 Woohoo, that's my piece alongside those by JK Rowling, Maya Angelou and Kate Winslet, among others! We're all sharing memories and experiences of what it means to be a girl growing up in our world. My essay, "The Smell of Women," goes back to the first short story I shared with my middle school English class and a teacher who found it "filthy." Sigh. This anthology examines how women of all ages feel about desire. My essay, "Women Writing Desire," interweaves my life as a daughter and mother with the daily discipline of writing. in maroon fez and dripping brocade. a shadow-wall of the East. by flashlight, squander my sight. Wind blows my bike over desert and sea. and her in your arms. she knew nothing, remembered less. in you—who taught her language. that form a staircase. But hurry! exultant—shakes his fist at the moon. I can map in my dreams. Jaffa crumbles before my eyes. My Israel is not yours: don't be afraid. labyrinth opens, pink flower blooms. understand how stone turns to flesh. on a cane chair outside the hotel. Do you smell the sea I smell? See the white cat melt? Hear the beast howling at the town wall? Tracking you, threaded to you. bite into your heart: bitter, bloodsweet. and I am still hungry. Beyond him, across the street, the sky is not shattered. points at me and screams. throws back his head, drinks. Years pass. forming words that aren't words, sounds of terror. leave me locked behind the gate. I was fourteen, I knew nothing. banged his drums and a lion played a piano. and Amazon, we helped the poor, cured the sick. stop and scratch and start again. of waterfalls, birds clinging to my hair. from the crack in the sidewalk when he left. Long brass, glittering against my palm. It opens his heart, I know this. Short and frail, face so pale. The paper bag he carries under his arm. forming snowflakes that rust as they fall. Oranges gleamed in the black trees. through leaves. A stubborn one. broke her skin into four. Someone yelled, The sun is rising! Hooded shadows moved to the clearing. 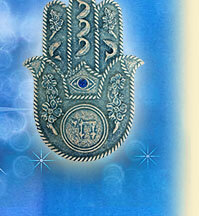 "A Magical Interview with Ruth Knafo Setton"